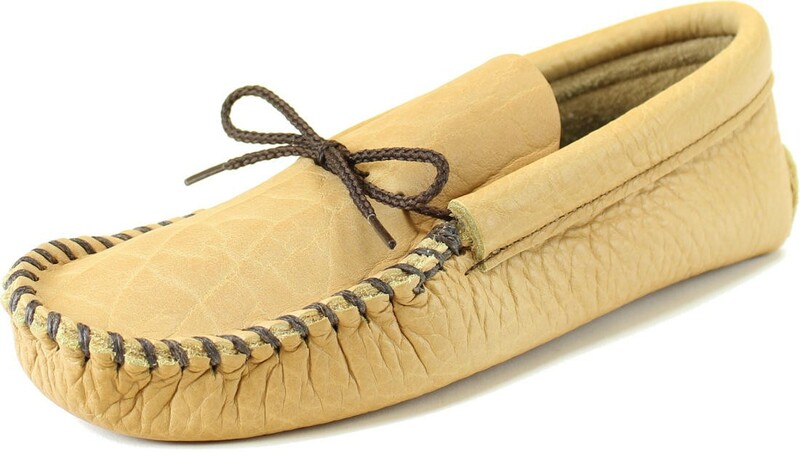 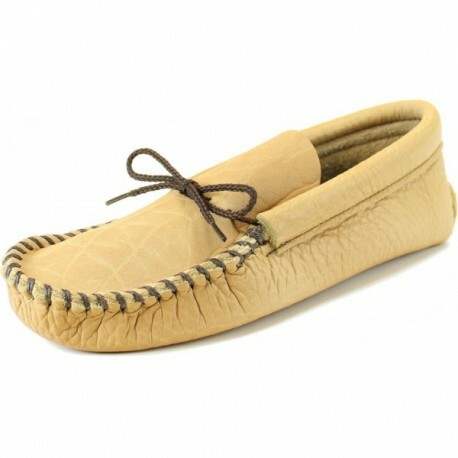 We're totally into this light-colored leather — a thick buffalo hide, milled to supple, and exhibiting a dramatic natural grain pattern that varies in size throughout the hide. 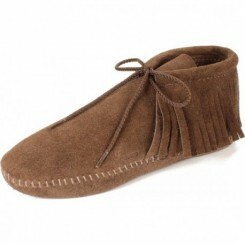 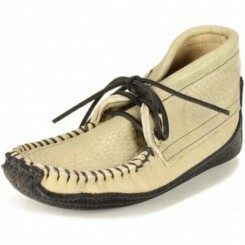 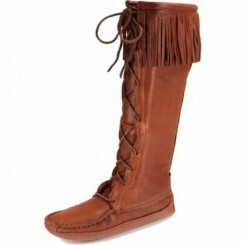 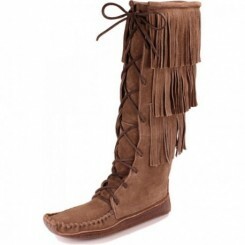 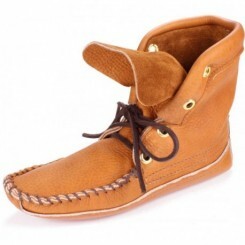 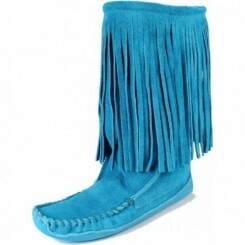 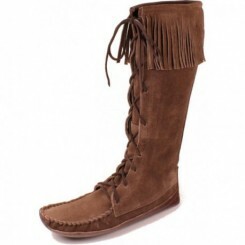 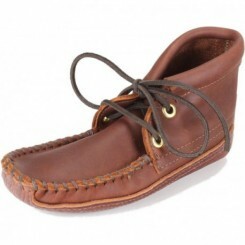 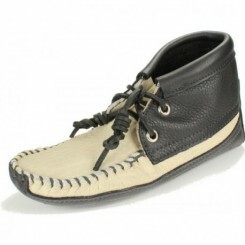 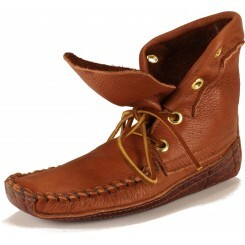 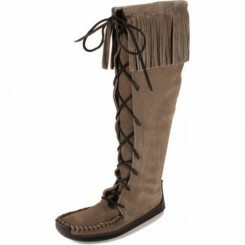 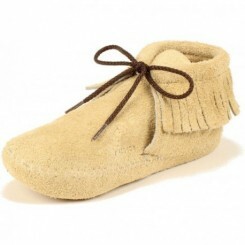 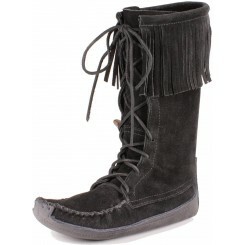 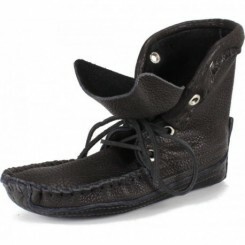 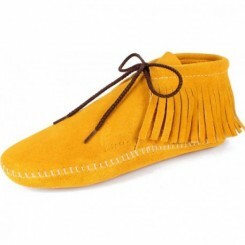 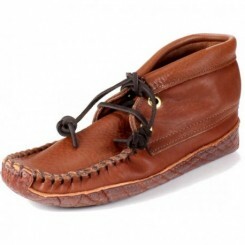 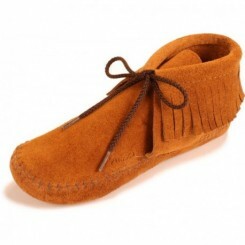 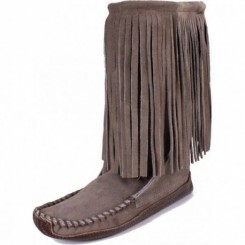 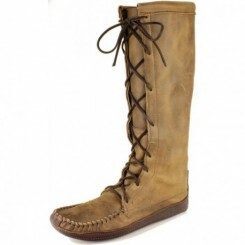 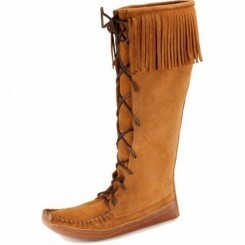 These will break in almost immediately, conforming to the shape of your feet. 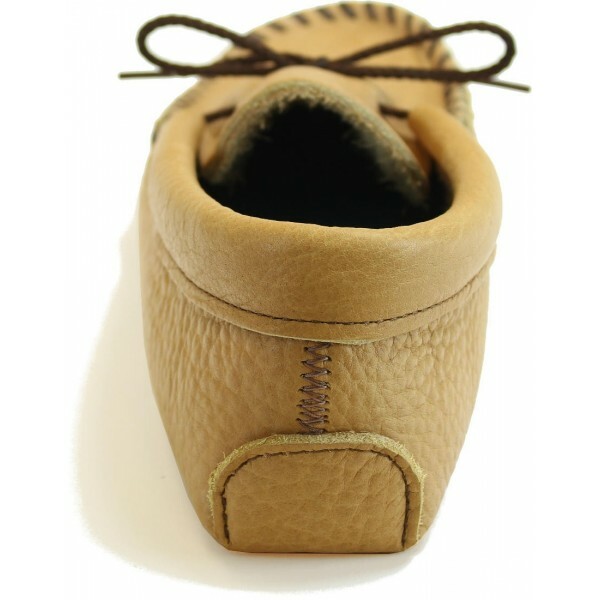 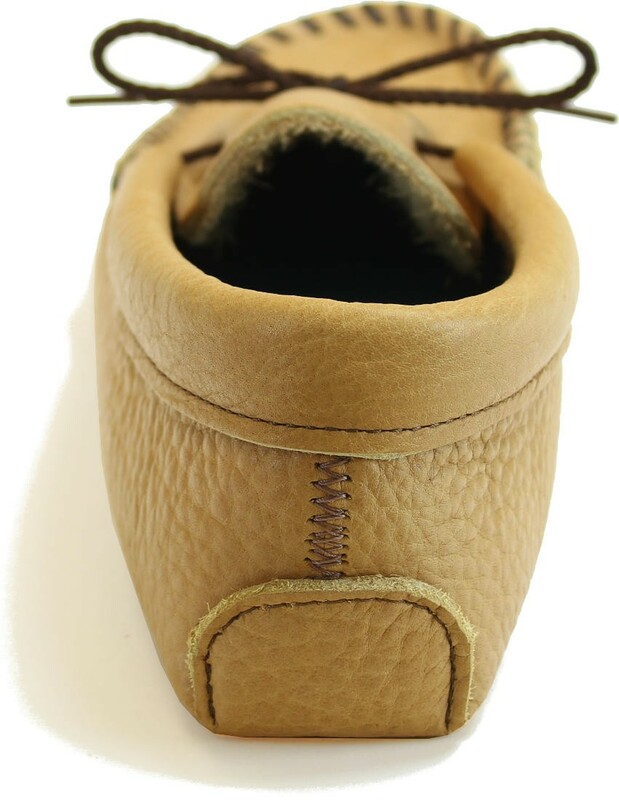 The thick hide feels substantial, yet they're going to be as comfortable as your favorite pair of slippers.